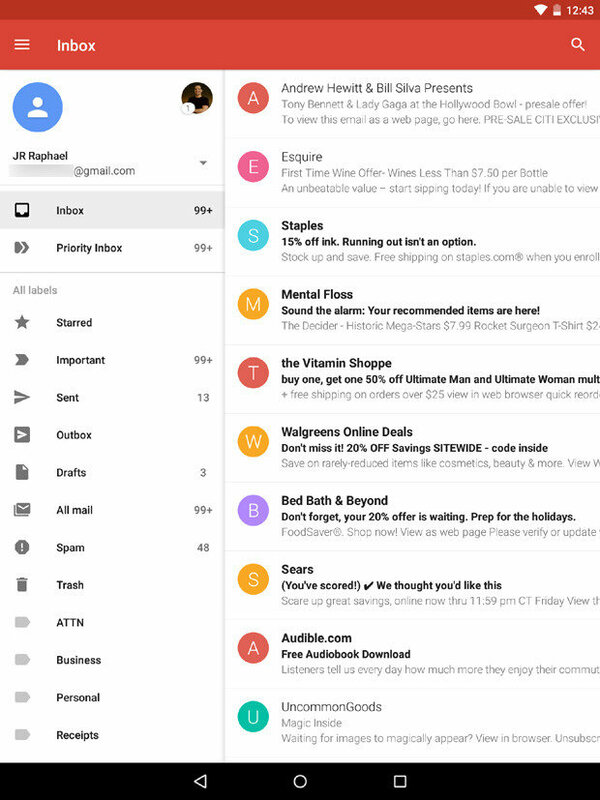 Google has updated Gmail mobile version into a new look. The new design is now working on devices based on Android, and iPhone and iPad in the coming weeks. Features showing from the desktop version can also be seen from android phone and tablet. It is now convenient to for users to use the shortcuts to attachments to open attachments directly, no need to open email itself. Users can freely change between personal and work account. New design for mobile can give users a big and red warning if the email seems suspicious. Compared with the old version, this new design for mobile is backgrounded with a mostly white. The new inbox also has links to the social and promotion tabs at the top. The new design for mobile version gives more convenience to Google users.